The push notifications are changing our everyday lives as it is almost mandatory for the mobile apps. The notifications usually interrupt our daily lives but helps to build a stronger bond between technology and us. The notifications are no longer restricted to emails , text or phone calls but are also displayed in the mobile apps on the smartphones, tablets and the wearables like watches. Notifications are about a successful and easy way of marketing. But, they need to be leveraged in the right way, so that there is an increase in sales. 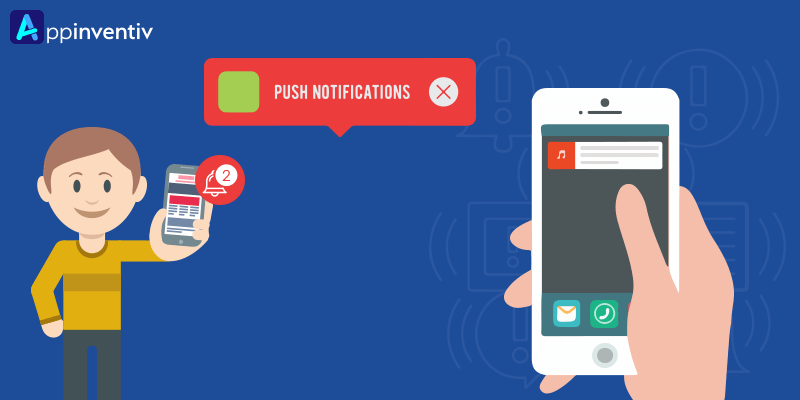 Before, going ahead with the successful notification strategy, we must try to understand what do we actually mean by push notifications. The publishers can send the notifications as a message popping up on the device screen, even when the device or the app is not in use, or when the phone is locked. It simply notifies the user of an upcoming event or some messages related to discounts promotions, company updates and news. These easy to use, short messages can be used effectively for the purpose of business promotion. There are many instances in which we see that you have a successful app, that has large number of downloads, but the retention is low. With all the hardwork on app marketing strategy, such as App Store Optimization, Social Media Marketing or PR, going in vain towards acquiring users, the experience is quite frustrating for the mobile app development company. This is where the notifications has the utility as they offer a great way to strategically remind your users about your mobile app. However, an overuse of such notifications will be evoking an irritating response from the users and a two low usage will actually not benefit the user engagement. The first impression about your mobile app, is what matters. There must be a strategy for onboarding the users onto your app. But, first and foremost, the iOS users must have opt-in to push. In case of iOS, the official opt-in screen is not customizable, but the app developers can use a splash screen to leave a personalized message for the users, trying to convince them about using the opt-in. They just need to confirm the official opt-in message if they reply in the positive. It is highly recommended that the notifications must be customized for the individual users. The personalized notifications has four times open rates compared to the generic messages. The content strategy is dependent on the targeted user profile. The personalized messages will be based on segmentation as per the various phases undergone by the user, while navigating the apps. Another way to leave a one-to-one personalized message is based on the demographics of the user. The hard work put by the app developers must be displayed with a customized push notification, which depicts the benefits of your app updates. But, there are lots of users missing the updates, because they do not have the option for automatic app updates turned on. Another good way to increase user engagement is through limited-time offers. The user will only re-open the app, when they find something valuable for them. They must not be used for randomly communicating with the user, but only has a limited use. There are lot many instances when the most faithful among the users will simply switch their loyalty and start using the competitor app. But, the notifications are excellent means for re-engagement of these dormant users. These will simply let you put forward your new updates with respect to new features and app design, to bring back these lost users. Push notification strategies are for effective user engagement. If used cleverly and judiciously they can change the very way your users look and see your app. Appinventiv, is one of the top mobile app developers, which has witnessed a phenomenal growth in the past two years. 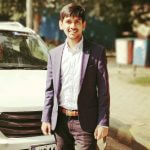 Their success lies in the fact that they are always updated with the advancements in the latest technologies, related to mobile application development and has experience in working across platforms such as Android, iOS, Wearables and IoT and many more.